Hope everyone had a great summer break! Some players have already got back into their tennis and were involved in a fantastic UNIS Tennis Academy Racquets Camp week. The UNIS Hanoi Tennis courts have being re-surfaced and painted, are looking and playing great (see attached pic). Remember we have classes no matter what your tennis needs are so no excuses not to give it a go! 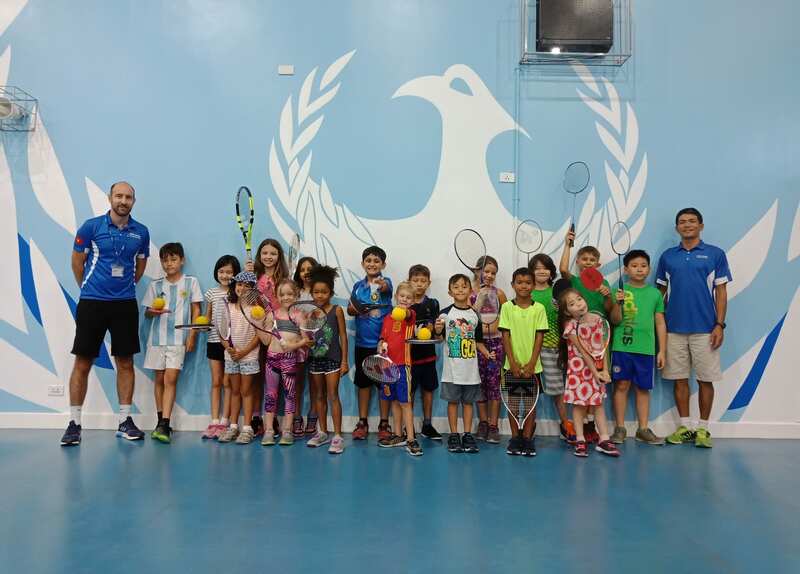 Registration for this season’s classes starts on August 20 and please visit UNIS Tennis Academy for further infomation. Additionally it’s the varsity tennis season this block so they’ll be training hard in preparation for their APAC main competition event in mid-October. Our next event is on Saturday August 25, 15.00-17.00. 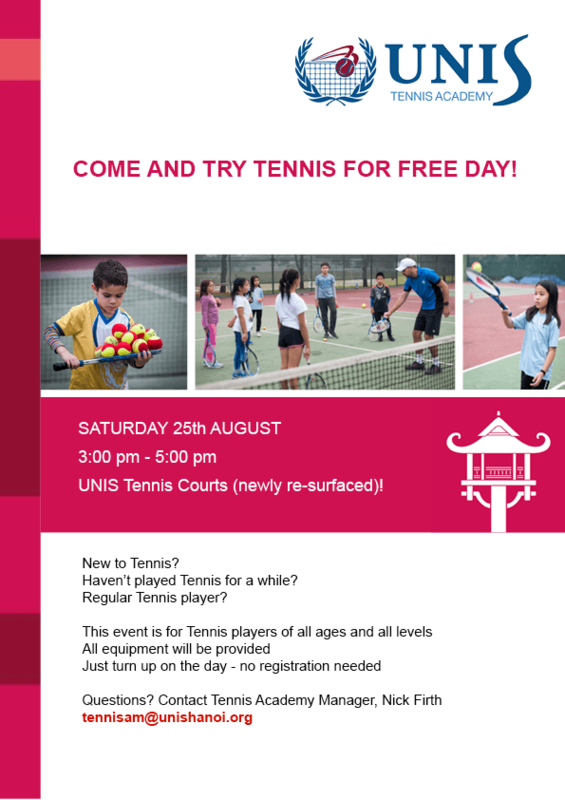 This is a Come and Try Tennis Day. This is an ideal time to have a go at tennis no matter how much or little you have played. This entry was posted in allschool, UNIS Tennis Academy and tagged Tennis, UTA by communications. Bookmark the permalink.